We are jumping right into the fire the next two weeks with all the different gigs that we have going on. The craziness is continuing, but we’re not complaining. Most of this past weekend has been spent getting caught up on a number of things from editing to bookwork and all things in between. When things are slow, you’re looking for anything that you can do to keep from being bored. When it’s as crazy busy as it’s been these past few weeks and as crazy busy as it’s going to be the next few weeks, there aren’t enough hours in the day to get caught up! The good thing about a weekend like this one was being able to get pretty well caught up on all those things that really do need to get done before starting a new work week. We’ll start rocking this morning with a clean slate and that’s a very good thing! We are sharing a photo from one of our friends that we’ve been shooting with for a number of years. 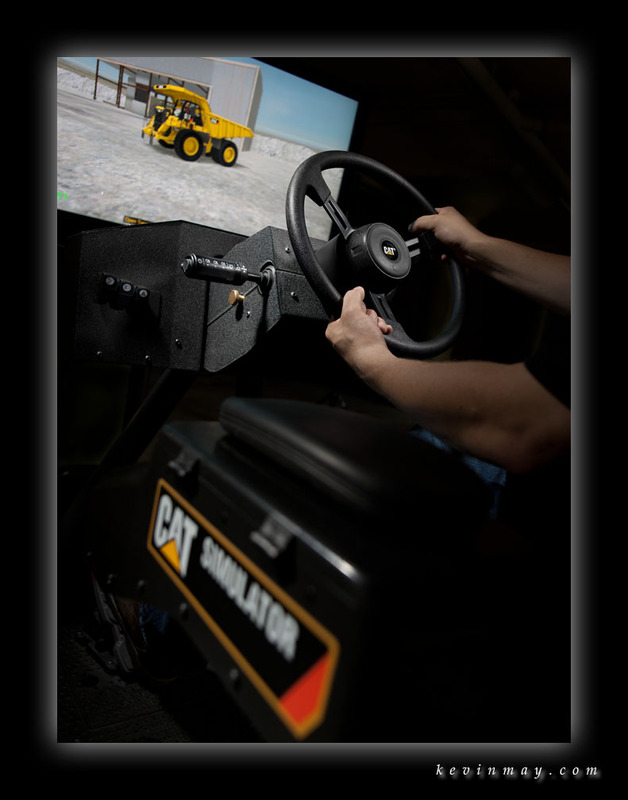 Simformotion is a local Peoria company that makes simulators for clients like Caterpillar. These simulators are great for training new equipment operators and help companies save a lot of money and that’s sure important in today’s world! Here’s one of our many shots from our day spent with Simformotion. It’s time for us to get busy, so we hope that you have a great week and thanks for checking out our work!!! Monday morning greetings to one and all! One of the things that I have talked with fellow photographers a lot about over the last five or so years, is the art of lighting and how it is becoming a lost art. When we think of old school photography, and I’m talking about shooting film, there wasn’t any Photoshop to massage or manipulate an image. As a photographer you had to get it right “in the camera”, which meant that you had to have everything perfect when you pressed the shutter button. The lighting and composition had to be spot on or the photo wouldn’t be what you needed. In today’s photography world, clients’ budgets have been squeezed and we are having to work faster, not being able to spend the time on a photo like we have in the past. I think what made this shoot last week so special is that we had time to do lighting on the project and what a difference it made in the photography. We were shooting some antique tractors and were given the proper time to make them look as good as possible with our lighting. It takes a lot of photography gear to light one of these big tractors and make it look great. It also takes time to set everything up on location and then do the actual photography. As we all know, time is money! 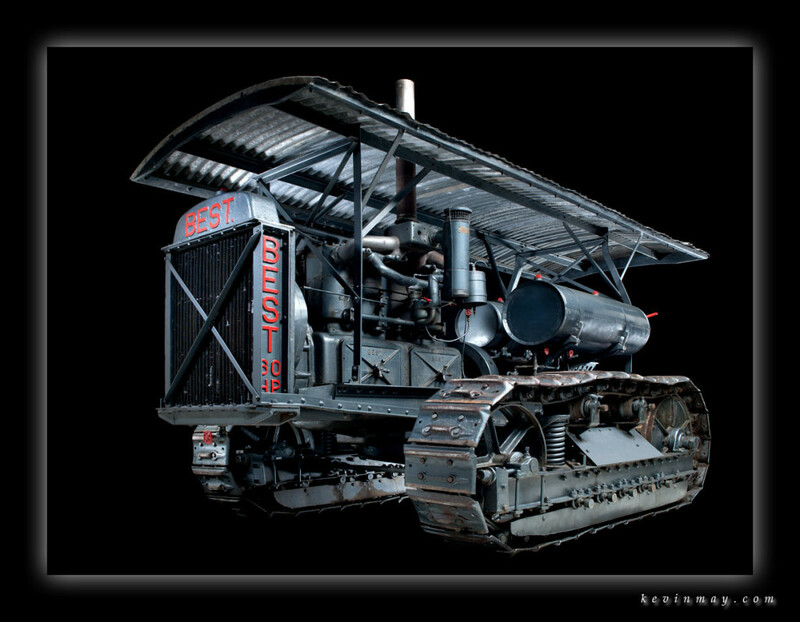 Here’s one of our shots from last week of this beautiful Best tractor from a by gone era! Here’s hoping that your week to come and thanks as always for taking the time to check out our work! Wow, we actually had the temperature in Peoria getting over 32 degrees this weekend and that sure was nice!!! It seems like it’s been about a month of below average temperatures for us and to have that at the end of the winter season makes things a little tougher!!! The good thing is that they are calling for the temps to be in the 50’s this week and that’s going to seem like a heatwave!!!! I was in Fredericton, New Brunswick and wanted to drive over to the coast to St. John, New Brunswick and check that out and shoot some photos. It was about a 70 mile drive to St. John and it was super easy to get there. I did snap a few photos in St. John, but didn’t see too much at this time of the year with all of the snow. I was about to head back to Fredericton and I saw a sign for a lighthouse up the road about 20 miles in St. Martins and thought that might be good. When I got there, the lighthouse was pretty much buried in snow and it wasn’t going to make for a lot of good photography, but I did find a number of other things to shoot in the area, so my drive was rewarded!!!! Here’s a few of my snaps from a off day driving around and doing a little sightseeing in Fredericton, St. John and St. Martins! I just got back last night from a gig up in Canada and we had a great shoot! We were up there shooting pictures of a Cat motor-grader that was clearing snow from the roads and it couldn’t have been more perfect of a shoot. Oh sure, it could have been a heck of a lot warmer, but other then that, we had perfect shooting conditions! As most of you know, I love having blue sky days when I’m shooting over a cloudy or overcast day. There are photographers that prefer those overcast days, but not this guy! Of course the trade off for those perfect shooting days is a lot of cold temperatures and you just have to bite the bullet with the conditions like that! The sun was great in terms of warmth and making things a lot nicer, but every once and awhile that wind would kick up and things were down right cold! The first thing right out of the box I was having to get some of my photo gear together and I had to take my gloves off for a couple of minutes. The next thing I know, my fingers were starting to get numb from the extreme cold. Once I got my gloves back on and the sun hit them, it warmed things up and I was fine, no frost bite for this kid! The other big challenge of this shoot was trying to get to spots off the road and in those spots the snow was four feet deep! We even had a snowmobile to get us to some more spots off the road and that worked great until I had to get off the snowmobile and I’d drop down to my waist in the snow! We even had a minor crash with the snowmobile (at a very low speed) and I was ejected into the snow and we got the sled stuck and it was a bear to get it turned back on it’s side so we could use it again! All and all it ended up being a great shoot!!!! Here’s a couple of my snaps from last week in Canada! 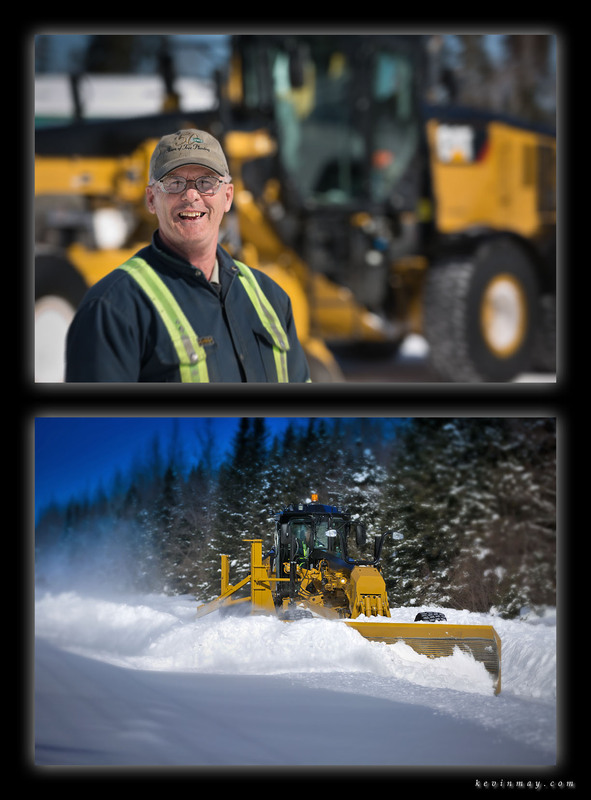 Our motor-grader operator John Beauliue couldn’t have been nicer and also was incredibly skilled with what we asked him to do! Here’s a couple of shots of John and him in action with the Cat Motor-grader! Thanks as always for checking out the work and it’s all very much appreciated!!! Well this past Friday all the anxiety and fears about Caterpillar staying in Peoria or moving somewhere else were answered in a historic press conference at the Caterpillar Visitors Center. Cat is going to stay in Peoria and they are also building a brand new world headquarters here as well! A couple of years ago Cat announced that they would be doing a study to determine what their options would be in terms of a new facility or a renovation or that they could leave all together. The state of Illinois hasn’t had a pro-business climate for a number of years now and there are a lot of states that are much more pro-business. I’m sure that the offers that Cat received from other states and even countries to have the world headquarters would have been numerous and I’m sure that they had to really think about what would be best for the company. We are very fortunate that they are not only staying, but also going to completely change the face of the city and the skyline of Peoria! I can only begin to imagine the shot in the arm that this project will have on our local economy. To think of what Cat will be doing, but then also what other business will do now knowing what Cat’s plans are for the area. We are going to see new construction and business coming into the downtown area because of this headquarters that will be right downtown. I can also see more retail stores along with restaurants and bars as well. I have a feeling that in ten years when this project is all done, it will be hard to remember what our city looked like, but everyone will be so proud of what it will become! This will be a jewel no doubt about it!!! Alright, here’s a bunch of snaps from the historic press conference at the Caterpillar Visitors Center this past Friday. You’ll see photos of our new Illinois Governor Bruce Rauner along with some of our local politicians and a few of our friends from Caterpillar as well! Alright, it’s time to get busy and the city of Peoria is moving forward with a little more pep in our step this week! We hope that you have a very wonderful week as always and thanks for checking out these photos!!! Wow, it was a crazy week last week with a bit of travel and flight delays! That’s always fun to be thinking of plan B, C, D, E, and even F when things aren’t going the way that they are scheduled! Fortunately for us, everything came together and we were able to get our shoots done and that was a very good thing! I spent this past entire weekend trying to get caught up on a ton of work that was piling up on my desk. Everything from bookwork, to billing to Photoshop. It can be amazing how much stuff like that is left undone while you’re on the road and then when you back back home and it’s still there and waiting for you! Anyone that travels for business knows what I’m talking about! I look at this as a good thing because it means that I’m busy and working and that’s always a very good thing! This week isn’t as crazy and I’ll still be working on a bunch of computer projects in my spare time between shoots!!! One of the gigs that I was doing last week was shooting at a couple of mines in Kentucky (Coal) and Colorado (Gold). One of the most enjoyable things for me on a gig like this or any other gig is the people that you meet and get to talk too. It’s always a diverse group of people and some of them can be real characters and that’s what can make it fun. You get to hear their stories and they tell you what they do and I really enjoy that part of any shoot!!!! Here’s one of my snaps from last week in Cripple Creek, Colorado with one of the machine operators from the mine! I have a feeling that by next Monday’s promo, a lot of you might be having some time off with Christmas being just ten days away. I hope that you enjoy the time off and the week will be a good one! Thanks as always for checking out my work and have a great week!!!! Things are still crazy busy this past week and even this weekend with shoots on Saturday and Sunday as well! I guess when it does rain, it pours! That’s ok and I’ll take it!!!! I’ve got one more week of shoots before taking off next week for Thanksgiving and a visit to see my folks in New Mexico! I was out shooting last week for Patten Cat, the Northern Illinois Caterpillar dealership. We were on a whirlwind adventure shooting photos at the four branch facilities in Illinois and Indiana and then at the main facility in Elmhurst, Il. I’m always fascinated with the manufacturing process at the factories and then to be out seeing the machinery serviced and repaired is also great! Lots and lots of hard work, but I also see a lot of pride and satisfaction in what these men and women do to keep their customers equipment running and working. Here’s a few of my snaps with my friend from Patten Cat! We are getting close to Thanksgiving, so let’s all keep our noses to the grindstone for a few more days!!! Have a great week and thanks for checking out my work as always!!!!! Well it was another rocking week for me with work and there is just so much going on right now, I don’t know if I’m coming or going! Don’t get me wrong, I’ll take this over the first half of the year when there wasn’t too much going on work wise! I have always liken business to a roller coster ride and at times like the first half of the year, the coster was going down hill with nothing going on. The past three months the coster has been climbing and for the foreseeable future it’s continuing to climb and that makes me very happy! 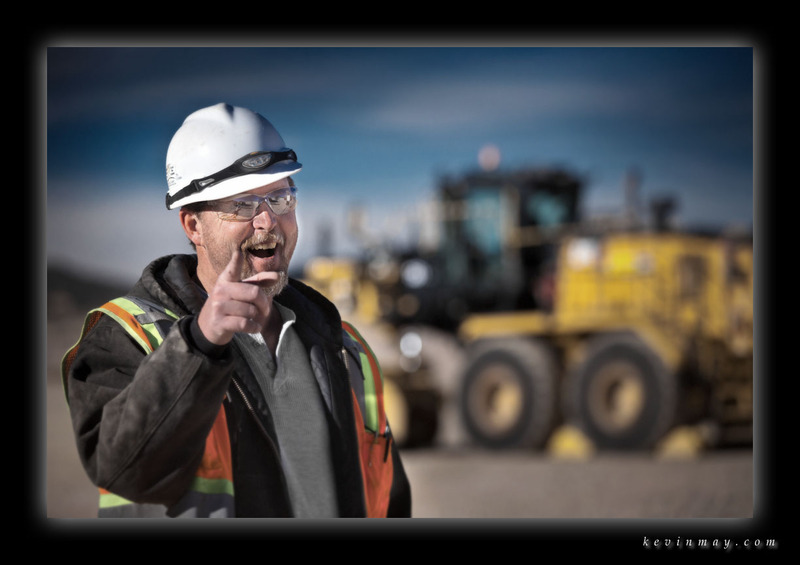 This past week I was out shooting photos of bulldozers pushing dirt and something that I’ve always enjoyed shooting. No see these machines doing what they do has always been a source of great joy for me. I’ve also always been fascinated by watching the farmers out working with their tractors in the fields or at this time of year with the combines harvesting the crops that they planted. I guess that maybe it’s the kid in me that just loves watch these machines out there doing their thing! 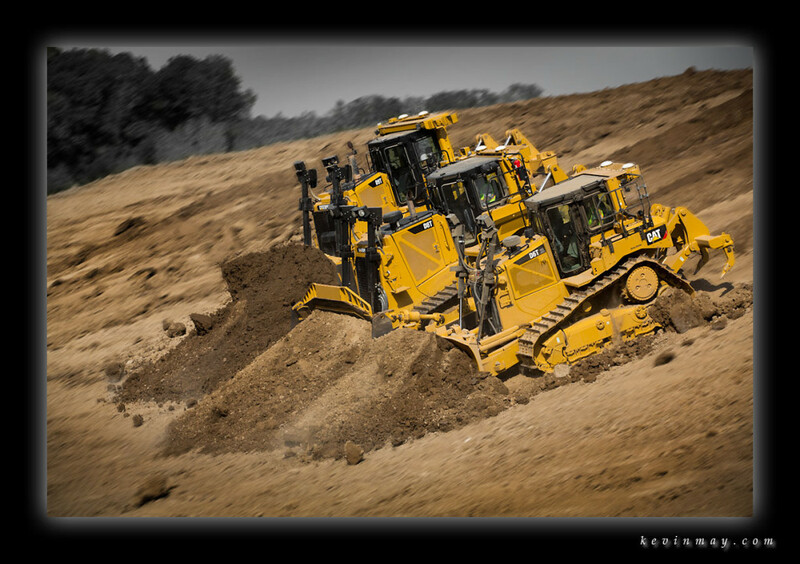 Here’s one of my shots of three Caterpillar bulldozers out pushing dirt in Central Illinois this past week! It’s time for me to get rocking because it’s going to be another busy week and there’s lots of gigs for me to shoot! Have a great week as always and thanks for taking the time to check out my work!!!!!!! Monday mid-morning Peoria greetings to one and all!!! I’ve been a busy little beaver this past week. I’m doing some charity work for the United Way on a project for them and we got some good shots this past week and I know we’ll be getting some more good snaps this week as well! The other project that I’m working on is one for the Peoria Convention and Visitors Bureau and this one will be going on for the next year. What we are trying to do is to step up the quality of the PACVB library of images that they use to help promote the Central Illinois area. We have a really good story to tell here in Peoria for visitors that come to the city to see places like the Peoria Riverfront Museum or the Caterpillar Visitors Center. We’ve also got visitors coming for different events like the TT motorcycle races or the IHSA boys basketball tournament. There are also a number of great hotels and restaurants, so we really have a lot going for our area! One of the other areas that the PACVB is working on is the convention business. I shot some photos at the Growmark convention at the Peoria Civic Center this past week. Getting big conventions like this is huge for not only the Peoria Civic Center, but also the Peoria area. A lot of local business also benefit from these conventions as well like the hotels, restaurants, gas stations and shopping centers. This is why PACVB is working hard to get more conventions like Growmark to come here to Central Illinois. 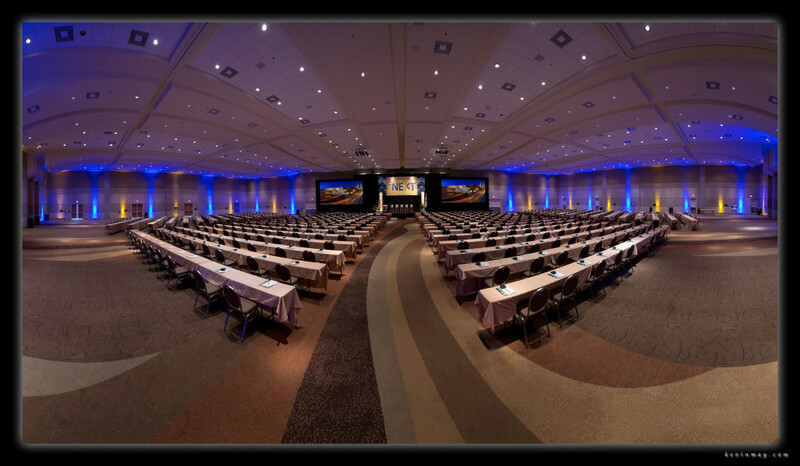 Here’s one of my shots of the entire ballroom for the Growmark convention at the Peoria Civic Center and you can see just how big of a deal that this is! Thanks as always for checking out my work and I hope that you have a great rest of the week!!! Well it’s one of those holiday weekends coming up that’s a long weekend and that means this week is a short work week for most of us! The 4th of July is this coming Friday and I know that a lot of you will be traveling or are already traveling for the holiday! Make it a safe one on your travels and also make it a fun one! I know that having a long weekend sure is nice and we can put work aside for a couple of days and have a little fun is even better!!!! I’m always very proud of Peoria and I think we have a great city here in the Midwest! Last year we won the All-American city for the fourth time in the history of those awards! There’s lots going on in Peoria and also a lot to see and do!!!! We should all be proud that the city is moving forward and not remaining stagnate! The Peoria skyline along the Illinois River has always been a wonderful view from across the river in East Peoria and it’s fun to watch the sun go down and see the lights of city come up! Here’s a day and night shot of our city!!! !